Tam Tam Tam Reimagined is the second album to come from Gilles Peterson’s Sonzeira project. Overseen by GP, with Will LV and Rob Gallagher as vital co-pilots, this second album picks up where the first one left off. Where Brasil Bam Bam Bam brought together the all-stars of Brazilian music, this album focuses on a key moment in the country’s history; a record made at a crucial moment serves as the jumping off point for an open-ended project of musical reimagining. 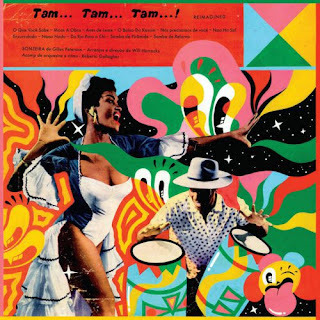 Of all those records released in Brazil, however, the search for one in particular has taken on a real significance for GP over the past couple of years: José Prates’ Tam Tam Tam. An accompaniment to a stage production financed by the Brazil Culture Ministry, it was created to promote the country’s culture to the world. Hearing the album – including its prototype of ‘Mas Que Nada’ that became a Sergio Mendes mega anthem – through Ed Motta during the making of the last Sonzeira album, it sparked a long hunt to get his hands on a copy (including a plea live on Channel 4 news). 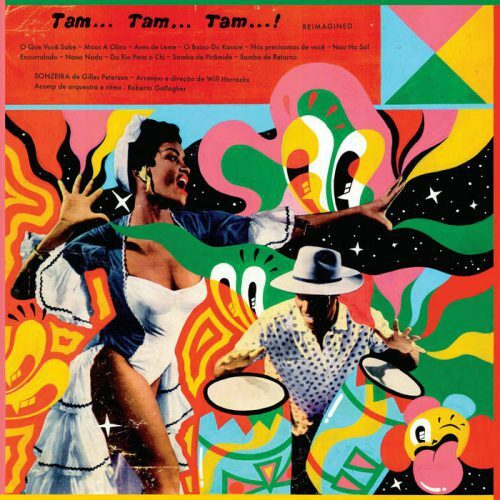 Released in 1958, Tam Tam Tam celebrates a distinctly Afro-Brazilian culture that was later suppressed following a coup in the early 1960s that led to a military dictatorship. From sparkling recreations of the atmospheric original to reverb-laden dub, the album takes a magpie-like approach to re-interpreting the most exciting aspects of Prates’ postcard of Brazil to the world. Tam Tam Tam Reimagined forms another part of the Sonzeira project’s aim to take apart and reassemble the pieces of what makes Brazil’s music so unique.